Golden Mane | ExpressCasino.com - Top Online & Mobile Slots Jackpots! Golden Mane | ExpressCasino.com - Top Online & Mobile Slots Jackpots! NextGen Gaming is the developer of this tjá vinnur rifa game known as Golden Mane. This is an online slot that is fashioned after the wild life of exotic stallion horses. Winning in this slot is believed to be quick, and you can begin your winning streak from your first spin. You can learn more about this slot when you read on. You have a picturesque background, with a lovely landscape and majestically imposing mountains on a cloudy day. The soundtrack of this slot is quite pleasant, whilst the graphics and animation are equally fascinating. The gameplay is also very simple and does not require much practice to understand and master. This express wins slots game typically comes with three rows, five reels and ten fixed paylines displayed on your playing screen. The common A, J, K, Q, 9 and 10 standard playing card symbols, are your icons of low significant value. The icons of high significant value on the reels include a high mountain, a large tree, white and black exotic stallions. When you land a Golden Mane stallion horse wild symbol on the reels, you will substitute all the other symbols except for the scatter icon. By substituting both the high and low symbols of significance, the wild icon will help you in landing winning combos. A Silver coloured Horseshoe is the Scatter icon in this express wins slots. This icon can help you gain more wins when you play the Free Spins bonus round, which it timely activates. Learn more about the free spins bonus feature below. One major feature of this online slot is its Free Spins bonus round. You can activate this round when you land at least two Silver Horseshoe scatters on any one of reels 2, 3 and 4. Free Spins of between two and six will be given to you. During this bonus round, more free spins can be activated when you land additional scatter symbols on the reels. You get an RTP of 96.96% in this express wins slots. 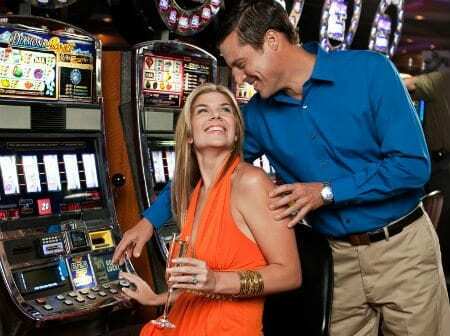 By placing a £100 stake for each spin of the reels, you will receive a payout amounting to £96.96. Players can also randomly trigger a Scatter Run bonus feature, which will further boost your wins and overall payout.